As the popularity of online search continues to rise among people searching for the latest advancements in dental care, Five Oaks Dental responds with an intuitive, patient-interactive website. 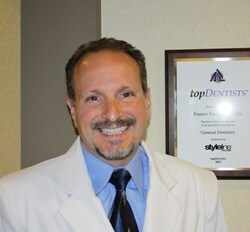 Dr. Franco Facchini, Livonia dentist, connects with community through his new educational website on oral health. “A website is a great resource for dentists to offer to their communities. It allows us to be proactive in improving oral health on a large scale." Cosmetic and family dentist, Franco Facchini, DDS, of Five Oaks Dental is announcing the launch of a new, patient-focused website. The website contains many important features including patient forms that visitors can download and bring to the dental office, and a blog written by Dr. Facchini that helps patients make better informed decisions about their oral health. The website also utilizes extensive search engine optimization techniques to reach patients and local consumers who are searching for relevant information about cosmetic dentistry services in Livonia, Mich.
“A website is a great resource for dentists to offer to their communities. It allows us to be proactive in improving oral health on a large scale by providing information and features that help people make better decisions about their oral health,” Dr. Facchini said. Current and prospective patients now have access to detailed information about family dentistry procedures, the team at Five Oaks Dental and more. Dr. Facchini is also utilizing his website to educate the community on the importance of oral health. In addition to his blog, Dr. Facchini’s website also includes a frequently asked questions page with topics ranging from bad breath to how cosmetic dentistry can improve the appearance of your smile. “Having a frequently asked questions page allows us to address some of the more common and uncommon questions we receive as dentists, and hopefully helps answer more of the questions our patients might not be comfortable asking,” Dr. Facchini said.